Viv recently embarked on a school science project: make a catapult and experiment with what flies furthest. 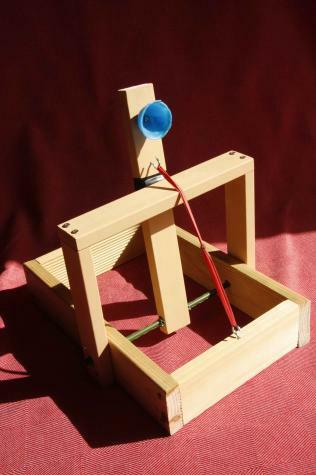 The catapult itself is a sturdy wood construction, but what to use for the basket that holds the projectile? Viv made a neat Plastimake basket and attached it to the catapult with a wood screw. If you're curious about the results of the experiment, we're told that an eraser went further than popcorn or a stone!